The world's vampire population is on the brink of starvation since the vaccine to treat a global pandemic rendered human blood deadly to them. Their only hope for survival is a handful of rural areas that the vaccine never breached. The tiny town of Penton, Alabama, is one such enclave, where the immortal Aidan Murphy has established a community of vampires and their willingly bonded humans. Together, they live in peace - until Aidan's estranged brother descends upon the town and begins attacking its humans. Whether the rampage is a result of his centuries-old feud with Aidan or the civil war threatening to erupt in the vampire world matters not. All that matters is the blood. Desperate to save his adopted family, Aidan breaks one of his cardinal rules, kidnapping an unvaccinated human doctor - and unexpectedly falling in love for the first time in nearly four hundred years. 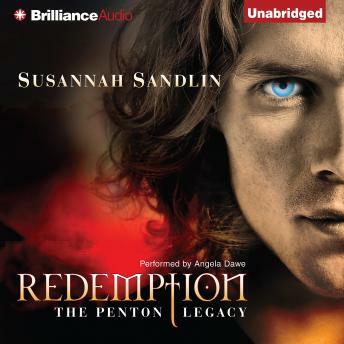 Sensual and thrilling, Redemption is the first installment of what is sure to be a darkly addictive new series from paranormal romance novelist Susannah Sandlin.